New upper level family room. Intricate build, but worth it! 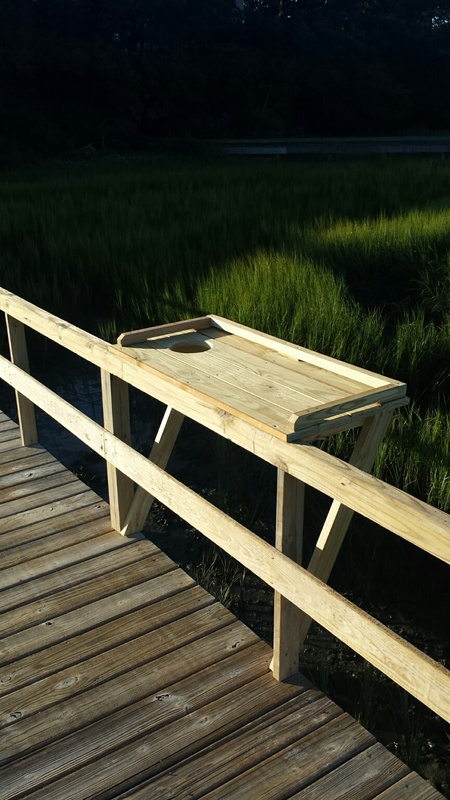 Sometimes the simplest updates can take a feature from functional to fabulous…like adding a fish cleaning table and bench to your dock. We find that the single most common reason for a renovation is to make a larger or more updated space for the gathering of family and friends. How nice! 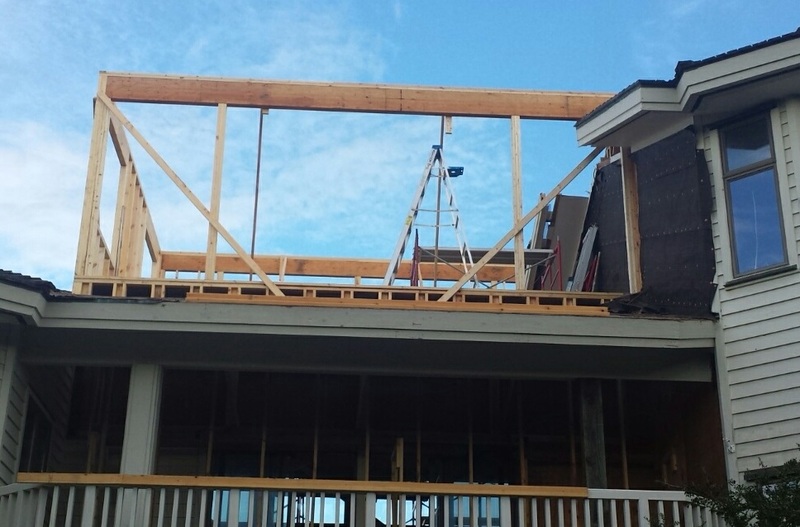 The logistics of managing a home construction site can be challenging. Debris disposal, parking for workers, and staging deliveries, all have to fit in somehow. Frequent, small deliveries of materials are usually necessary due to small lot sizes, to prevent exposure to rain, and to minimize theft after hours. Optimally, whatever is delivered gets installed the same day. Even keeping the dirt from the lot on the lot, and not in the street, must be attended. Existing utility lines and meters must be protected, and there are occasionally overhead power lines to avoid. There may be trees to safeguard. The grass is probably going to take a hit. Neighbors will endure the inconvenience of noise and street congestion. In the aftermath of so much activity, it is great to move on to the bigger drama we dreamed of before the swarm started–the coming together, the laughter, or maybe just the serenity of perfecting our home space. For those sweet outcomes, we’ll keep juggling the logistics. Dream it, build it, live it. According to Realtor Magazine online, a survey of NAHB builders reveals that Media Rooms are on the way out. On the way in are Laundry Rooms. According to Realtor Magazine online, whirlpool tubs are on the way out as free standing tubs gain popularity. Any time is a good time for preventive HVAC maintenance, but we tend to think of it when anticipating a change of seasons. Call your heating and cooling contractor for a check up. The Energy Star site has good maintenance tips too, visit http://www.energystar.gov/index.cfm?c=heat_cool.pr_hvac . We sometimes see homeowners spending large sums on technology systems that some in the home find too complicated to use. Not saying don’t go large, but plan on instructing users more than once so frustration doesn’t ruin the fun. Wilmington has a wonderful group of local historians. Read any of their accounts of our architectural history, and it is clear that the foremost element of destruction to dwellings is fire. At the very minimum, there are 3 critical steps to fire risk management. First, GET OUT. Have a plan. Practice nighttime and daytime evacuation drills with your family. Establish where you will meet up outside. Second, have an adequate smoke detection system and keep it healthy. Third, keep an A-B-C rated fire extinguisher on every floor. The kitchen and garage each need their own, even if on the same level. If you can safely use an extinguisher when a fire first begins, do so; otherwise, use those critical seconds to GET OUT. For an explanation of types of extinguishers (A-B-C etc.) visit OSHA’s fire safety page https://www.osha.gov/SLTC/etools/evacuation/portable_about.html .